Isaac "Ike" Schlossbach (c. August 20, 1891 – August 1984) was an American polar explorer, submariner and aviation pioneer. He was born in Bradley Beach, New Jersey and raised in Neptune Township, New Jersey where he attended Neptune High School. In 1911, Schlossbach became the first Jewish midshipman at the United States Naval Academy in Annapolis, Maryland, winning letters in football and wrestling. He graduated from the Naval Academy in 1915 and volunteered to go to the first submarine school. During World War I, he commanded submarines in the Mediterranean. In 1921, after the end of the war, Schlossbach joined the aviation branch of the United States Navy. He was first to be sent to lighter-than-air flying school (dirigibles). In 1922, he learned to fly fixed-wing aircraft. By 1925, then Lieutenant Commander Schlossbach was leading an aero squadron. He first commanded the squadron that flew the record South American flight[clarification needed], and then the first squadron to serve on the first aircraft carrier, USS Langley. Schlossbach had trouble with his left eye, and the Navy assigned him to the Naval Academy, teaching engineering and aviation and coaching the football team. In 1930 at the age of 38, Lieutenant Commander Schlossbach was forced to retire from the Navy on a medical discharge when he lost his eye. Just before U.S. entry into World War II, Schlossbach headed a small radio/meteorological team that founded the airport at Fort Chimo (Crystal I) in Labrador on 10 October 1941. Out of retirement, he further distinguished himself while assigned to Guadalcanal. Schlossbach went on twelve polar expeditions, three to the Arctic and nine to the Antarctic. He was on the Wilkins Trans-Arctic Expedition in 1931 and served as navigator on USS Nautilus, the first attempt to take a submarine to the North Pole under the icepack. 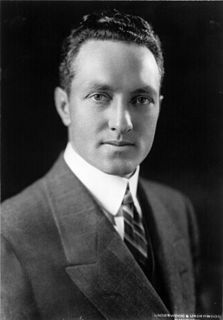 He commanded Admiral Richard Byrd's ship, Bear of Oakland, and was a pilot on Byrd's Second Antarctic Expedition (1933–35). He was the second in command on the MacGregor Arctic Expedition (1937–38) where he accomplished a number of polar aviation firsts. In 1939, he accompanied Byrd again to the Antarctic on the United States Antarctic Service Expedition. After World War II, Schlossbach was second in command on the last privately funded Antarctic expedition, the 1946–1948 Ronne Antarctic Research Expedition. He commanded the 1200-ton diesel-powered wooden tug Port of Beaumont, which was frozen into Back Bay through the winter. He also accompanied Finn Ronne to a cape in the Weddell Sea, which was named after him. as is a mountain. Schlossbach accompanied an Australian research expedition to Ellsworth Station Antarctica in 1955, for which he received a letter of commendation from the Australian government. In 1956, Admiral Byrd selected Ike as his personal representative on Operation Deep Freeze. Schlossbach accompanied Byrd on several other occasions and made his last trip to the Antarctic as a consultant to the United States Navy in 1961 when he was 70 years old. He was awarded three Congressional medals for his contributions to Antarctic exploration. Before World War II, Schlossbach founded the Asbury Park Air Terminal, originally known as Schlossbach Field (also known as Gibson Air Academy). His adventures took him around the world, to the South Pacific, New Zealand, Australia, the Philippines, South America as well as to the Arctic and Antarctica. He never married and died in 1984 at the age of 93. ^ "Neptune and Neptune City: A brief history", Asbury Park Press, January 17, 2002. Accessed September 24, 2007. "After World War II, the Asbury Park Air Terminal, later known as the Gibson Air Academy, is founded by one of Neptune's most famous residents, Lt. Cmdr. Isaac Schlossbach, who explored the Arctic three times and the Antarctic nine times with Adm. Richard E. Byrd." ^ Summer Newsletter Archived 2011-07-28 at the Wayback Machine, Bradley Beach Public Library, Summer 2003. Accessed September 24, 2007. "Ike graduated from Neptune High School and then, in 1915, graduated from the Naval Academy." Ayres, Shirley: "Bradley Beach Library, Summer Newsletter, 2003"
Finn Ronne was a Norwegian-born U.S. citizen and Antarctic explorer. Bernt Balchen was a Norwegian pioneer polar aviator, navigator, aircraft mechanical engineer and military leader. A Norwegian native, he later became a U.S. citizen, and was a recipient of the Distinguished Flying Cross. His service in the U.S. Army Air Forces during World War II made use of his Arctic exploration expertise to help the Allies over Scandinavia and Northern Europe. After the war, Balchen continued to be an influential leader with the U.S. Air Force, as well as a highly regarded private consultant in projects involving the Arctic and aviation. Sir George Hubert Wilkins MC & Bar was an Australian polar explorer, ornithologist, pilot, soldier, geographer and photographer. He was awarded the Military Cross, when he assumed command of a group of American soldiers who had lost their officers during the Battle of the Hindenburg Line, and became the only official Australian photographer from any war to receive a combat medal. He narrowly failed in an attempt to be the first to cross under the North Pole in a submarine, but was able to prove that submarines were capable of operating beneath the polar ice cap, thereby paving the way for future successful missions. The US Navy later took his ashes to the North Pole aboard the submarine USS Skate on 17 March 1959. Donald Baxter MacMillan was an American explorer, sailor, researcher and lecturer who made over 30 expeditions to the Arctic during his 46-year career. He pioneered the use of radios, airplanes, and electricity in the Arctic, brought back films and thousands of photographs of Arctic scenes, and put together a dictionary of the Inuktitut language. Alfons Jan Nagórski (1888–1976), also known as Ivan Iosifovich Nagurski, was a Polish engineer and pioneer of aviation, the first person to fly an airplane in the Arctic and the first aviator to perform a loop with a flying boat. The MacGregor Arctic Expedition was a privately funded expedition which set out to reoccupy Fort Conger, Ellesmere Island, Canada, a site within flying distance of the North Pole. The expedition, which took place from July 1, 1937, to October 3, 1938, had four main objectives: To collect weather data; to make a magnetic survey; to photograph the aurora borealis and study its effects upon radio transmission; and to explore the area northwest of Ellesmere Island, in order to clear up the questions about Crocker Land, which Robert Peary placed on the map more than 30 years earlier. Ilya Pavlovich Mazuruk was a pilot, polar explorer, and Hero of the Soviet Union. Harold Irving June (1895–1962) was a machinist, an aviator, a test pilot, and an explorer in Antarctica. He is best known for his 1928–1930 service in the first Antarctic expedition of Admiral Richard E. Byrd. Sitting in the co-pilot's seat with supplemental radio duties, he flew with Byrd, pilot Bernt Balchen, and photographer Ashley McKinley over the South Pole on November 29, 1929.